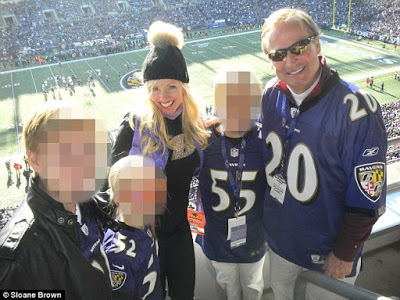 Baltimore socialite and former Ravens cheerleader Molly Shattuck pleaded guilty to statutory r*ape Tuesday, admitting in a few brief words to an affair with a 15-year-old boy, a plea that leaves her branded as a felon and a s*ex offender. Shattuck, 48, the former wife of the current chairman of energy provider Exelon, was accused in November of having a relationship with one of her son's classmates, including performing oral se*x on him in a rented vacation house in Bethany Beach. She allegedly performed oral s*ex on him at least twice over the Labor Day weekend after first plying him with beer. She has been indicted on two counts of third-degree ra*pe, four counts of unlawful s*exual contact and three counts of providing alcohol to minors. As part of the plea, Shattuck agreed to forgo any unsupervised contact with children, except her own, and to have DNA and HIV tests as well as a mental health evaluation that will include "s*exual disorder counseling." The affair began in May 2014, when Shattuck began a flirtation with the boy,a McDonogh School student, on the social networking site Instagram, according to an affidavit for a search warrant filed in Baltimore County District Court. Between their encounters, Shattuck asked for pictures via text message’ and he would send pictures of himself shirtless and one in his underwear, the victim told police. 'Sometime around 2am on Sunday morning, they drove to a liquor store and (Molly) Shattuck purchased a 12-pack of Miller Lite and a 12-pack of Bud Light for them,' state the court documents. 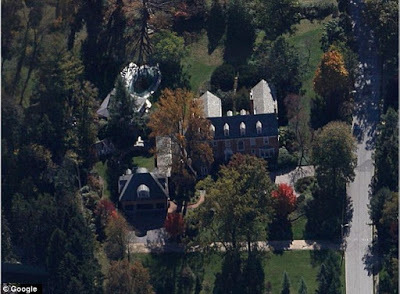 Once back at the house, Shattuck is alleged to have performed oral se*x on the boy at least twice - first outside the home while walking the dog and then again in her bedroom. Just months before, Shattuck had sat for a Baltimore Sun interview that showed her confidently working through her separation with her husband and forging a new, independent identity. But the s*exual abuse allegations left Shattuck's carefully crafted image as a devoted mother and charity worker in tatters. Her billionaire husband, Mayo Shattuck, was granted a divorce from her in November. The Shattucks' divorce, which ended a 17-year marriage, was finalized days after a nine-count indictment against her was unsealed in November. Custody arrangements for their three children have not been publicized, but Modica said her ex-husband could use the r*ape conviction as ammunition in any dispute.